Véronique Marrier managed 90_degrés from 1996 to 2000, the first gallery dedicated to graphic design in France, located in Bordeaux. She co-founded the Alliance française des designers and contributed to F7 association that organized from 2003 to 2010 graphic designers talks in Paris: Stefan Sagmeister, Peter Saville, Jonathan Barnbrook, Jost Hochuli, Experimental Jetset, Norm… In 2003, she worked for the Festival international de l’affiche et du graphisme in Chaumont and particularly the M/M (Paris) exhibition. From 2003, she started to collaborate with the Ministère de la Culture et de la Communication annual for the publication Graphisme en France. In 2006, she is involved in the organization Mois du graphisme, in Échirolles. Since 2008, she is the project manager for graphic design at the Centre national des arts plastiques (CNAP). She is the editorial manager of Graphisme en France, she is in charge of Commandes publiques and develop the acquisition of graphic design pieces for the CNAP collection. 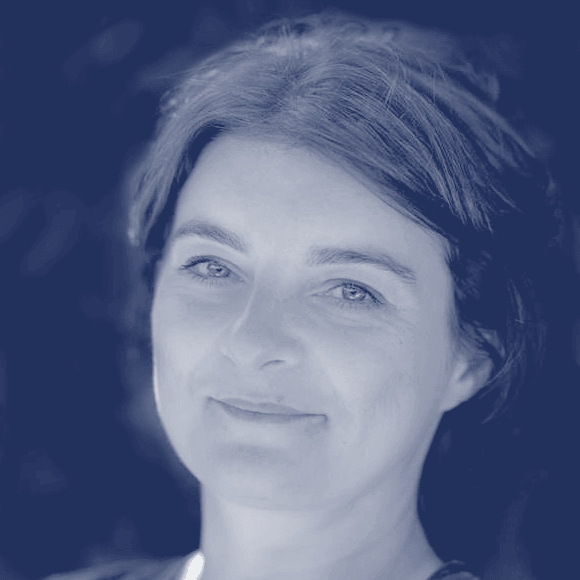 Véronique Marrier is the co-curator of special one year event, Graphisme en France 2014, launched for the 20th anniversary of the publication.